UK and Australian cyber security SMEs collaborate to launch the next generation of solutions enabling mobile access to government networks. 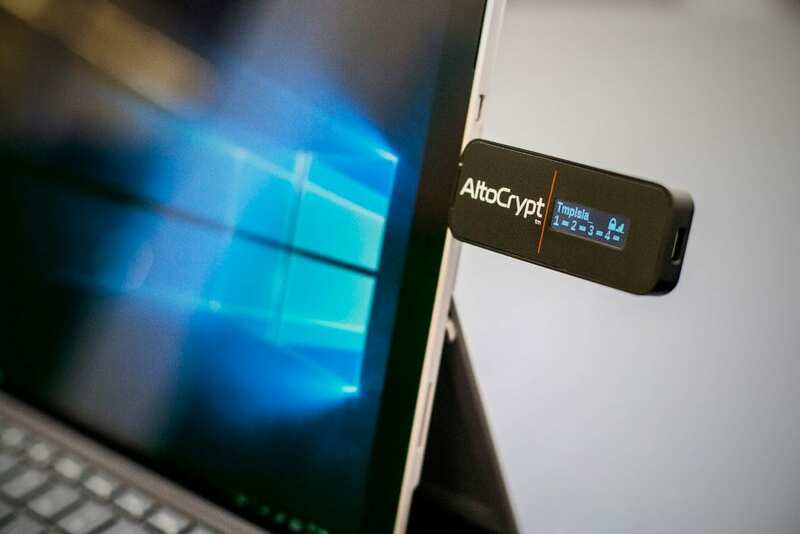 Cyber security SMEs Amiosec based in Gloucestershire, UK and Penten based in Canberra, Australia today announced the launch of AltoCrypt Stik – an all-in-one, deployable High Grade solution enabling secure mobile access to government networks. AltoCrypt Stik is a USB device designed to be a highly portable, easy to use, secure mobility solution which provides government users wireless access to sensitive networks both inside and outside of the office. Amiosec and Penten have worked together for the previous 12 months, leveraging research and development to rapidly bring the small USB device AltoCrypt Stik to market. Amiosec Technical Director, Adrian Cunningham said, “The efforts of our talented and focused engineers have resulted in real innovation in the use of modular, embedded PRIME implementations.” (PRIME is the UK’s strategic standard for encrypted IP communications). To learn more about the launch of AltoCrypt Stik, contact Matthew Wilson or Adrian Cunningham, or visit the website at www.altocrypt.com. Amiosec is a UK technology company specialising in the design and development of secure solutions for government and commercial organisations. The technology and R&D is geared towards, research, design, development and rapid prototype of secure communications and cyber security solutions. Penten is a Canberra, Australia based cyber security SME focused on innovation in secure mobility, cyber deception and cyber engineering services. Supporting Defence and government clients Penten’s founders have a proven track record of scientific invention, commercialisation and export success of Australian cyber security technology.